The Tradewinds is a gorgeous full reading lens sunglass. It is perfect for the women that like an understated touch of bling. 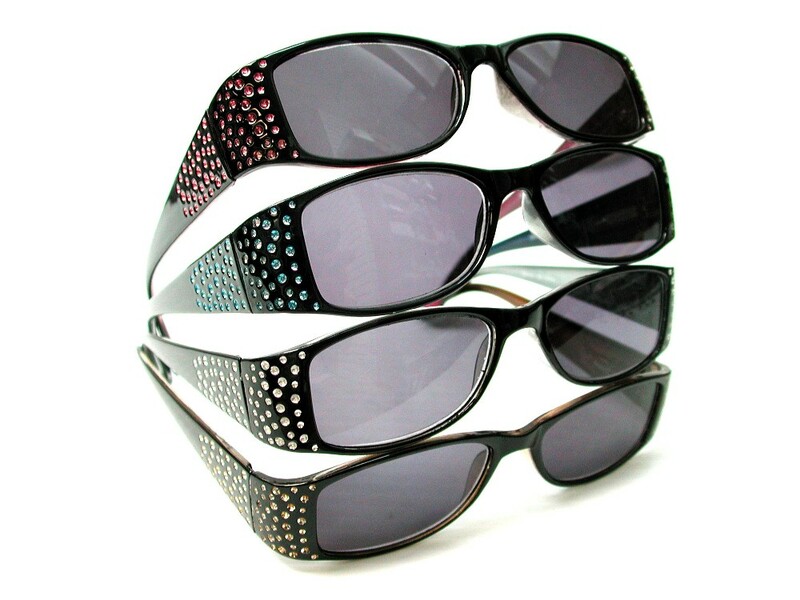 The frame is black with tiny crystals on the temples. The "cyrstals" are actually embedded in the plastic with an inkjet process. The advantage to this is that they look and shimmer like rhinestones, but they will never fall out! The lenses are 100% UV protected. The frame has a spring hinge for a flexible fit. Frame Measurements: 5 1/8" x 1 1/4" (temple to temple x height of lens"